On May 28, 1779, Irish poet, singer, songwriter Thomas Moore was born. He is best remembered for the lyrics of “The Minstrel Boy” and “The Last Rose of Summer“. Moreover, he was responsible, with John Murray, for burning Lord Byron’s memoirs after his death. In the poem, Moore describes the river Avoca in County Wicklow, Ireland. It starts life as two rivers, the Avonmore and the Avonbeg. These join together at a spot called the Meeting of the Waters. In this period, the artist had already finished several ballads, which were published as Moore’s Irish Melodies in 1846 and 1852. His influence in literature and society grew and Moore soon managed to meet the Prince of Wales on several occasions. Also, he enjoyed the patronage of the Irish aristocrat Lord Moira in particular. Lord Moira was known to own a very large library in his house at Donnington Park in Leicestershire, which Moore visited quite often in this period. In the early 1800s, Moore became registrar to the Admiralty in Bermuda, but found his tasks not inspiring as he stated that there was not much to do and found that he did not have much in common with the society there. However, during his period in Bermuda, he wrote his Ode to Nea, which caused quite a scandal since it suggested a love affair. Very soon, Nea was identified with Hester Tucker, the young wife of one of his colleagues. In the following period, Moore travelled across the United States and Canada and developed a deeply critical view of the United States. He came to dislike Thomas Jefferson and the Democratic Party. During his journey in Canada, Moore wrote one of his most famous works, Canadian Boat Song. In 1804, he returned home. His book, Epistles, Odes, and Other Poems was published after his return and the criticisms of the United States in the book provoked outrage in America and led to a number of rebuttals. In Britain, the work led to Moore challenging the editor Francis Jeffrey to a duel. However, the duel was interrupted by the arrival of governmental officials. It was then reported that Moore’s opponent had been given an empty pistol and the persistent mockery of the author continued. Moore was especially angered by Lord Byron’s comment on the event. 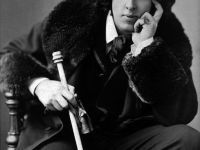 He wrote “on examination, the balls of the pistols, like the courage of the combatants, were found to have evaporated“. As a response, Moore wrote to Lord Byron, that unless the remarks were clarified Moore was prepared to fight Byron. But, when the two met each other, the dispute was settled and they became close friends. 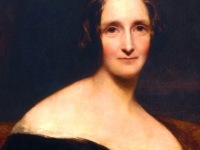 Beginning with the year 1806, Moore dramatically changed his style of writing. He started writing lyrics to a series of Irish tunes, in collaboration with John Stevenson. He became best known for these Irish Melodies which were enormously popular containing songs such as The Minstrel Boy, The Last Rose of Summer, Believe Me If All Those Endearing Young Charms and Oft, in the Stilly Night. Thomas Moore began another trip, this time across France, Switzerland, and Italy. In Venice, he briefly spent some time with Lord Byron, which is considered as their last meeting. Byron gave Moore his memoirs with instruction to publish them after his death. Moore was much criticized later for allowing himself to be persuaded to destroy Byron’s memoirs at the behest of Byron’s family because of their damningly honest content. 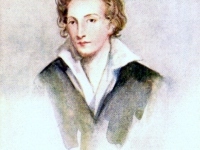 Moore did, however, edit and publish Letters and Journals of Lord Byron, with Notices of his Life in 1830, six years after Byron’s 1824 death in Greece. In his later life, Thomas Moore settled in Wiltshire, England. He has become a novelist and biographer as well as a successful poet. In 1830 he sang in front of the future Queen Victoria in a duet with her mother, and later composed a song Sovereign Woman in her honor. Thomas Moore passed away on 25 February 1852. He is considered Ireland’s National Bard and many composers have set the poems of Thomas Moore to music, including Robert Schumann, Hector Berlioz, Charles Ives and many more. Also James Joyce cited many of his songs for example Silent, O Moyle! 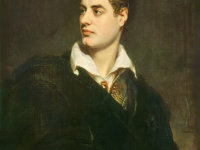 At yovisto academic video search you may enjoy the two part video lecture by Tim McGee talking about Lord Byron and English Romanticism in general.